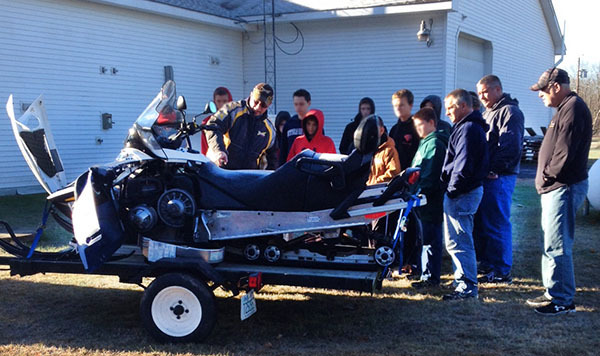 Every year the Suncook Valley Sno Riders hold an OHRV Safety Course to teach OHRV/Snowmobile safety to kids so they can obtain a permit to legally operate a snowmobile on the local trails or an ATV on specially designated ATV trails. The OHRV Safety Course is held annually in November. Location: Barnstead Parade Fire Station, 305 Parade Rd. in Barnstead, NH. Children must be 12 years old by the end of the riding season. Please dress appropriately for the weather as the students will be going outside during the class. If you would like to be a safety course instructor please call Joe Hough.